Police swooped on a picturesque Cotswolds village after residents complained about fundraisers holding a rubber duck race. Officers arrived in Bourton-on-the-Water, Gloucestershire, as a branch of a volunteer organisation that organises free motorcycle deliveries of blood and medical supplies to hospitals held a light-hearted event on the river Windrush. 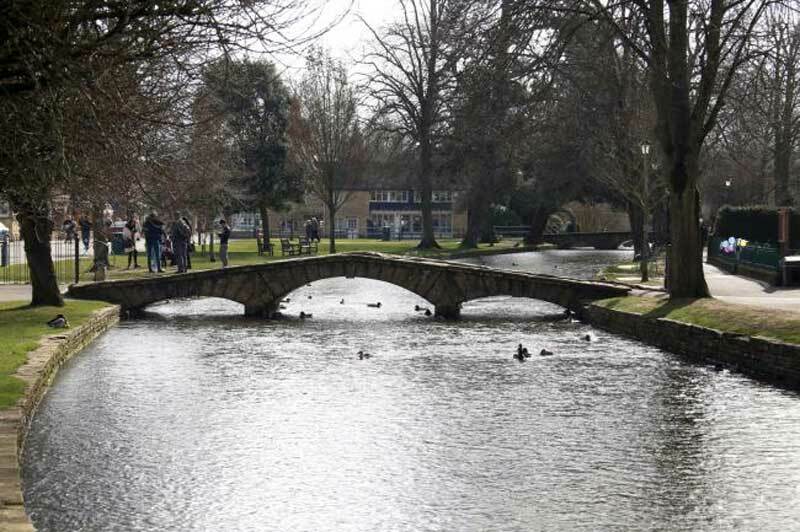 Jonathan Dixon, 45, from Cheltenham, took his two young sons to watch 100 ducks drifting along the river, which winds through the town and is criss-crossed by beautiful bridges. He said: “It was bonkers. Everyone was having a great time and the kids were chasing after the ducks as they went down the river. Suddenly a police car came along and two officers went over and talked to some chaps who were running the event. The event was abandoned after the first few races. It was like something out of the film Hot Fuzz. 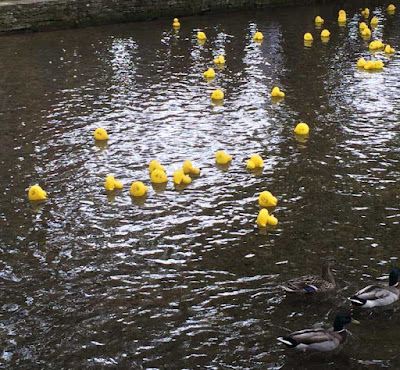 Surely the cops have got better things to do than stop a rubber duck race in the Cotswolds.” Some residents backed the police, arguing that motorcycles had been parked on the village green. This apparently contravened a local bylaw and had shattered the peace. They said charity events were not allowed on the spot on Sundays. A spokesman for Midland Freewheelers Blood Bikes, the organisation money was being raised for, said: “We rely on donations. The duck race is an annual event and a lot of money is always raised for us, for which we are very grateful. We understand the event did go ahead on Sunday but there were also issues raised by some about the rules on running such events.